Kyle Fischer joined the REALTORS Association of Lincoln as Executive Vice President in August of 2017. Born in Lincoln, Kyle attended Lincoln Southeast High School (Go Knights!) and is a graduate of the University of Nebraska Lincoln with a degree in Broadcast Journalism. His path to the association began as a television reporter and producer for KOLN/KGIN channel 10/11 news. 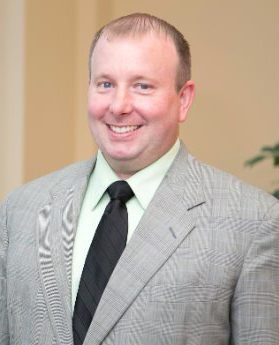 Following his time “on-air” Kyle was hired as Communications Director for the Lincoln Chamber of Commerce and was later promoted to work on Public Policy and Advocacy for the Chamber. Kyle and his wife Sara have two wonderful girls. When he’s not at work serving the needs of Lincoln’s REALTORS, you will find him playing baseball and golf or enjoying a Husker sporting event. Peggy attended Nebraska Wesleyan University earning a Bachelor of Arts degree in music. After graduation she worked for several state senators in the Nebraska Legislature. After spending thirteen years raising her and husband Bruce’s three boys, she returned to the workforce as the Development Assistant and Operations Manager at Junior Achievement of Lincoln, Inc. She is an active member of the Cooper YMCA Committee of Management and a TeamMates Mentor. Christina received an Associate of Applied Science degree in Graphic Design from Southeast Community College and joined the association staff in 2013. 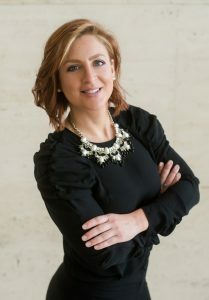 She administers the marketing and advertising for the association, as well as the weekly email and monthly news communications; is also the liaison for Housing Advocacy, Community Relations and YPN committees. Christina and her husband Paul have moved around the midwest and love to see new places. Their son was born in Kansas City but will consider Lincoln his home. Christina enjoys drawing, reading, movies and new experiences. Tomi joined the association staff in 2019. 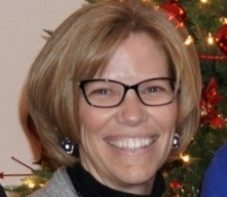 She is in charge of MLS and MRCIE Administration, MLS Changes and Forms, RESO Compliance, MLS Market Stats and Orientation Classes, and IDX/VOW Verification. She is also the liaison for MLS Residential Forum, Property Management and Commercial Brokers committees. 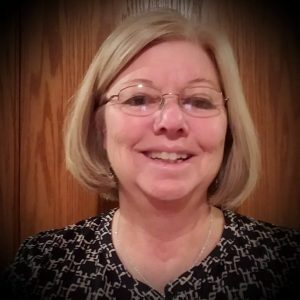 Terri joined the association staff in 2018. She has been associated with the REALTOR® industry for many years from being a REALTOR®, assisting her REALTOR® husband, David Bayne, and working with the Sellstate Performance Property Management company. In her role at the Association, she is in charge of Billing and File Management, Accounts Payable and Receivable, Grant Program Administration and Memorial Giving. Terri is a long time Lincoln resident and enjoys quilting in her spare time. She will be in the office 10:00 am – 2:00 pm everyday.